As adults, we have a wealth of knowledge and experience to draw on when talking with young people. It can be tempting to lecture children about what we have learned. However, research tells us that the most effective way to learn is through personal experience. Though we want to steer children away from negative experiences when we can, if we use a few key strategies to talk to young people, we can help them learn how to think for themselves and solve their own problems. In doing so, we prepare them for the times when we can’t be there to help them know what to do. Consider using television as a way to start conversations, such as, “How would you have handled that character’s situation?” or “What would you have done if you were in that character’s shoes?” Keep your tone relaxed and be prepared to really listen to their responses. A good follow-up question might be, “If you did that, what do you think would happen next?” It’s a great way to begin talking about natural consequences. When you ask open-ended questions and allow the young person to think through the imagined scenario, they become better prepared to face a real situation on their own. The more you listen and ask questions the more likely they are to take part in future conversations where you can help them improve their critical thinking skills for making healthy choices for themselves. 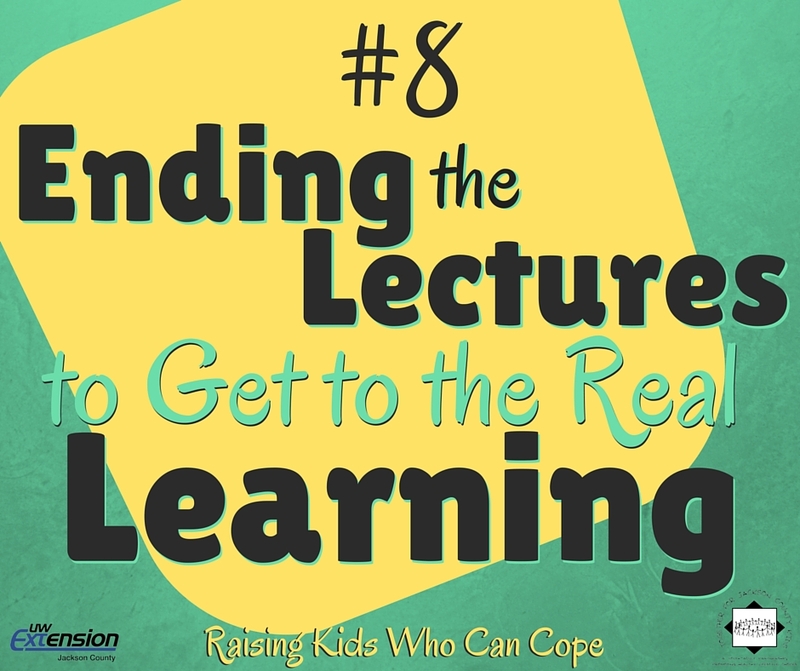 This entry was posted in Raising Kids Who Can Cope and tagged communication, coping skills, learning, youth. Bookmark the permalink.